We are pleased to announce Office Chat 2.9, the first release in 2018 on all platforms. This release includes the following enhancements & improvements and goes live in phases between Jan 17th – Jan 22nd for all our Office Chat customers. Auto disable access to Office Chat immediately for a desktop/mac logged-in user. User receives an in-app push notification which disables further access and logs him out. 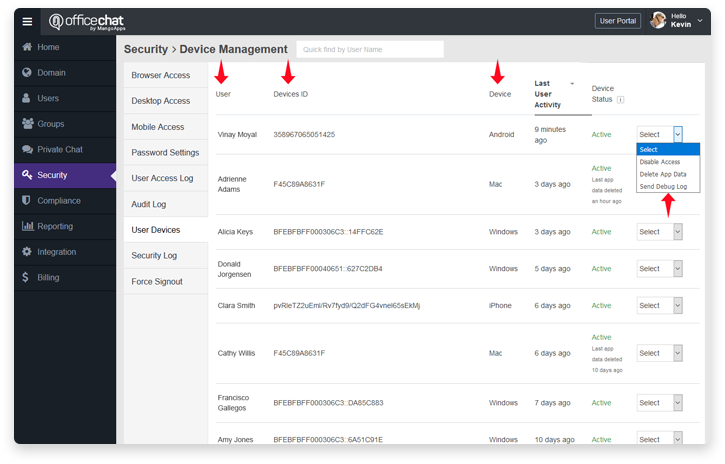 Auto wipe out application data downloaded by a desktop/mac logged-in user. User receives an in-app push notification which wipes out all downloaded Office Chat app data and logs him out. 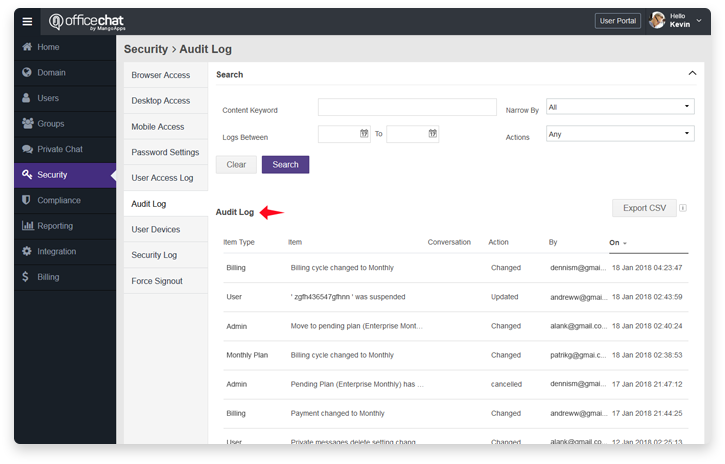 Sending Debug Logs On Behalf Of Your Users To Office Chat Support: Domain admins now have an option to get the debug logs from a user’s device (desktop, mac, iOS or android) who is reporting a issue. The debug logs are automatically sent to Office Chat support. This capability should help get all the information we need for any ticket and result in faster resolution of your ticket. New Share Settings: Admins can now enable sharing of files and messages to external apps (e.g., Email) on your mobile device. By default this setting is OFF and the domain admin has to enable this for their domain. 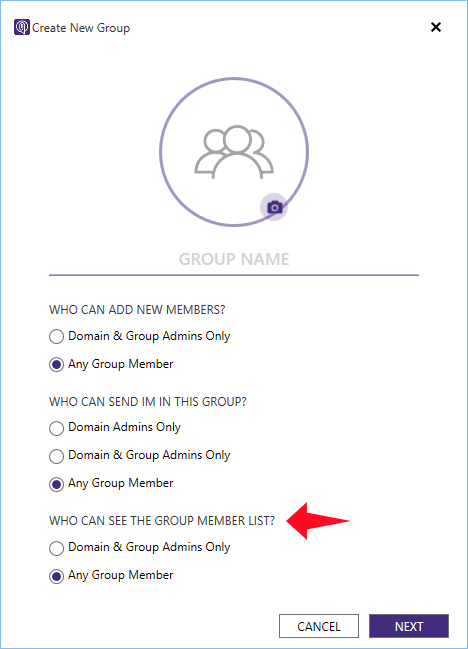 Who can see group members: Group chat admins can now control who can see group members from the windows & mac clients. 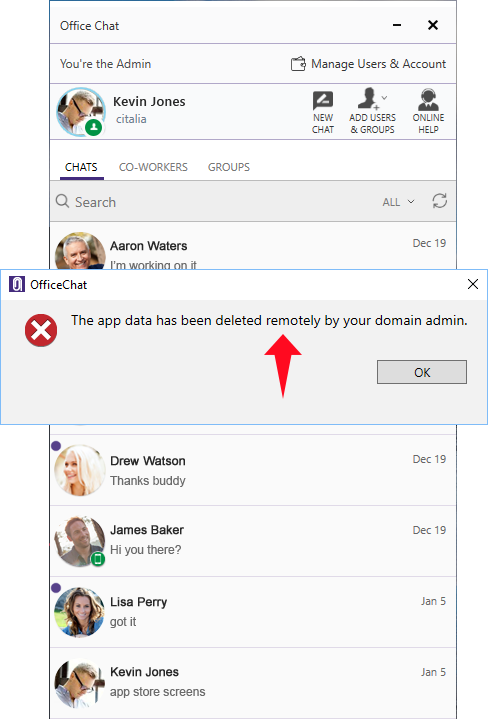 Delete on read: Delete on read option for chat message will be available based on the value for who can delete messages set by your domain admin. Support For Remote Management Of Client by Domain Admin: Windows Desktop & Mac Clients now have the in-built support required to allow the domain admins to remotely manage these clients including auto disable access to office chat, auto wipe-out application data downloaded and automatically send debug logs to office chat support. Improved Experience of Copy & Paste for Files: You can now copy images using Copy/Cmd + C and directly paste & send them in 1 step using Copy/Cmd + V in a group. Last Position of Chat Window Remembered (Desktop Only): The last position that the user keeps the chat window is now remembered when the chat window is closed & re-opened the next time around. Ability To Forward Files, Media & Messages: You can now forward files & media from one chat group to other chat groups without having to download and re-upload them. Similarly one or more messages can be forwarded from one chat group to another. Additionally if the domain admin has enabled external/public sharing of files, media and messages, then users can forward a file/media/message using external apps like email to anyone outside the company.